Is improving your skin, hair and nails (not to mention your overall health) really as easy as taking a few vitamins a day? Based on some pretty impressive science and the experts at HUM Nutrition, it certainly looks that way. The dietary supplements industry is a multi-billion dollar market, with sales of global nutraceuticals expected to reach $204.8 billion by 2017. As explored in our post on “wellthness,” we are at a crossroads of two key consumer trends: an increased interest in preventative health care and a heightened understanding of the connection between diet and wellness. As a result, there has been a surge of brands that have recently entered the market with products that promise to be the elixir of youth and vitality. While it’s been slow to catch fire, the belief that beautiful skin starts from within is now becoming a part of the mainstream mindset. We’ve had our eye on the nutricosmetic category and identified HUM as a brand to watch. With a name inspired by the vibrant beauty of hummingbirds and their seemingly endless natural energy, HUM has a clear mission: to become the best beauty nutrition business in the world. 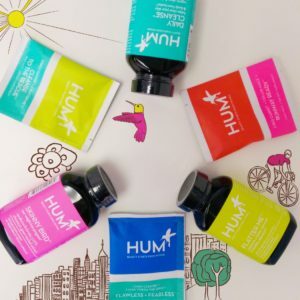 Offering potent, sustainably sourced products, HUM takes the next step by integrating another evolving trend: personalized nutrition. Just like skincare, each one of us has unique dietary needs and HUM innovates by connecting consumers with a free personal nutritionist responsible for creating a customized supplement plan based on each customer’s health and beauty goals. A brilliant strategy, especially considering the majority of dermatologists are not trained in the field of nutrition, therefore leaving the category of “beauty nutrition” up for grabs. 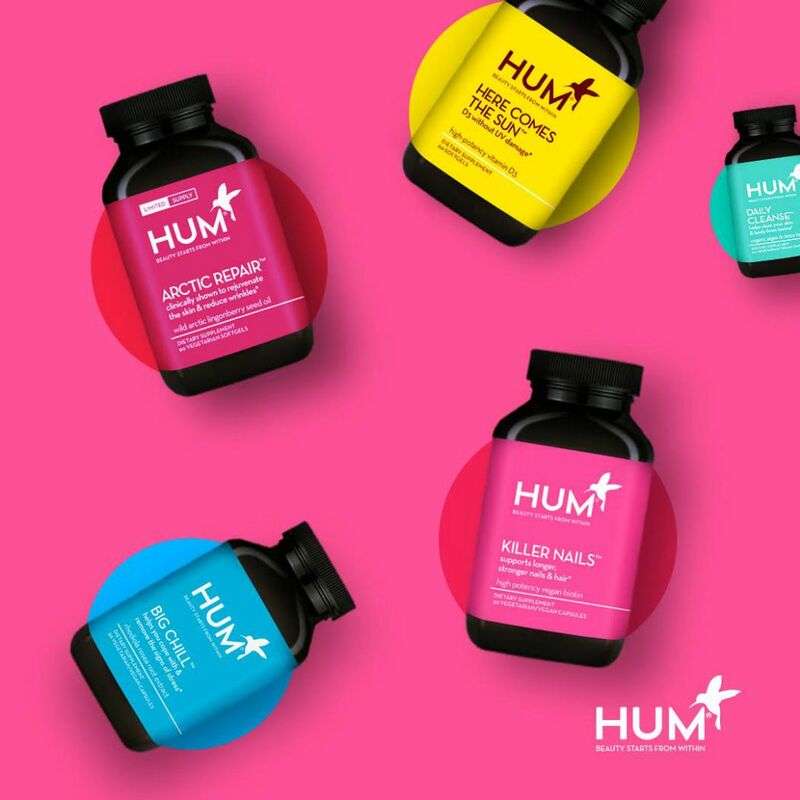 With beautiful packaging and witty, memorable names, HUM has succeeded in reinventing the vitamin category. Now, with their distribution in Sephora, they could be the brand that finally secures supplements a permanent place in our daily beauty regimen. We had a chance to talk branding with founders Walter Faulstroh and Chris Coleridge and learn more about how good nutrition can transform the way we look and feel. Plus, we’ve got a special contest just for Brandettes readers! 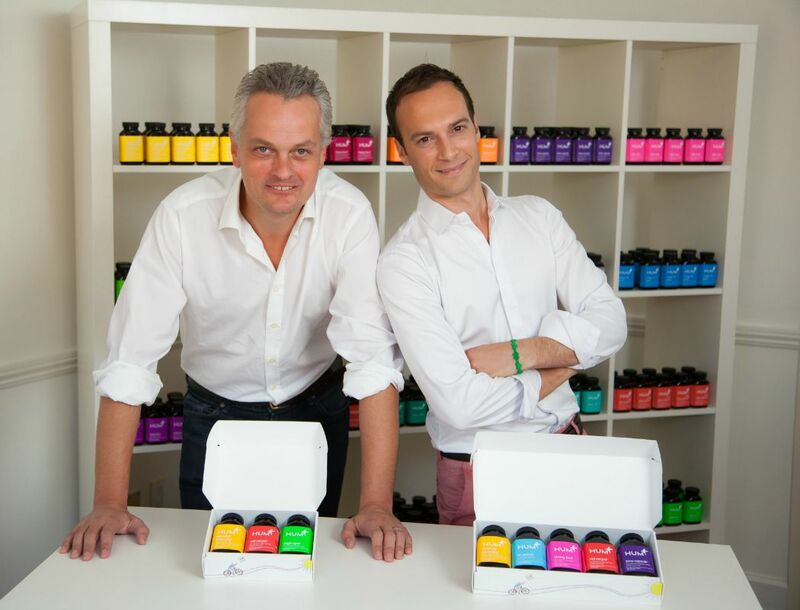 Walter, Chris and the HUM Nutrition team are giving away Flawless + Fearless, a 14 day trial kit combining 2 favorites: Daily Cleanse and OMG! (a $29 retail value). Read on for details on how to enter. Your branding is really spectacular – can you tell us about the strategy behind your witty, playful product names? Thanks so much! HUM was actually inspired out of the confusion of the vitamin aisle. When faced with so many products, brands, herbs and minerals, it’s so hard to know what your body needs and which nutrients can really make a difference in your beauty and health. So we decided to use our branding to clearly specify how each product can help you to look and feel great. (Killer Nails, for instance contains biotin to help strengthen your nails.) We also wanted to maintain an approachable and playful identity in our names and packaging to help our consumers enjoy learning more about the nutrients they can benefit from, rather than feeling overwhelmed. U.S. consumers have not embraced nutricosmetic brands in the past – how is HUM positioned to overcome the challenges of this category? It’s been fascinating to look at why U.S. consumers have not been as quick to embrace nutricosmetics as elsewhere, particularly Asian countries where vitamins, minerals and supplements are popular in the beauty realm. But there is a lot of opportunity here to introduce the brand in an innovative and educating way. The nutricosmetic markets is expected to grow 11.5% from 2014 to 2020, and we truly believe HUM can be at the forefront of this. For instance, a short 3 minute questionnaire on our website takes in some of your health and lifestyle habits and a real Registered Dietitian provides you with a detailed report on nutrition tips and the HUM products right for you and your body. This personalization is so important to HUM and part of what makes us so unique. In addition, HUM truly values importance of education and science. Researchers and Registered Dietitians design all HUM formulas with special care taken to use only science-backed, high quality ingredients. As we grow, HUM also strives to be a top resource in the beauty-nutrition field to educate our consumers on the nutrients they are putting into their bodies and how they work. I love your personalized approach to nutrition – I took the quiz and was very impressed with the level of detail! That being said, is there one product that you feel is a great fit for everyone? Personalization is so important to HUM, and again, a big inspiration for the brand. However, our OMG! Omega the Great is high quality fish oil, which leading nutritionists often recommend for heart, brain, and skin health. In addition, Red Carpet is one of our most popular products. It is a vegetarian formula for an overall beauty boost. Natural essential oils help nourish and hydrate from within to help achieve healthy looking skin and fuller hair. It’s a product that contains natural and effective nutrients that fit into many people’s lifestyles! Your distribution in Sephora is really exciting! Was it a tough sell or did they immediately embrace your vision? How are you able to translate your personalized approach when selling on shelf? Sephora has been such a brilliant supporter of HUM from the get-go. As a leader in beauty education and innovation, they immediately embraced the idea surrounding Beauty Starts from Within and loved that it was something so unique they could inspire and share with their community. 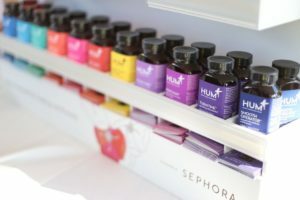 It can definitely be a challenge translating our vision in stores because customers come in looking for makeup without having given thought to the idea that supplements can help them with a specific beauty concern, and we want to make sure the personal aspects of the brand translate to the shelf. That is why HUM works with an amazing education team of passionate nutritionists and Sephora lovers who help bring to life the HUM quiz and customization of the brand. These brand ambassadors work with Sephora casts, who in turn come to believe in the brand, and they share that with their clients. Some really amazing things are right on the horizon! We have some HOT holiday surprises coming down the pipeline that we’re so excited to build some buzz around. A little hint… your favorite HUM bottles in Sephora are going to be extra cozy this winter! Once you see it in stores make sure to tag us on instagram @humnutrition because we’re giving away tons of prizes! Ready for clear, glowing skin? 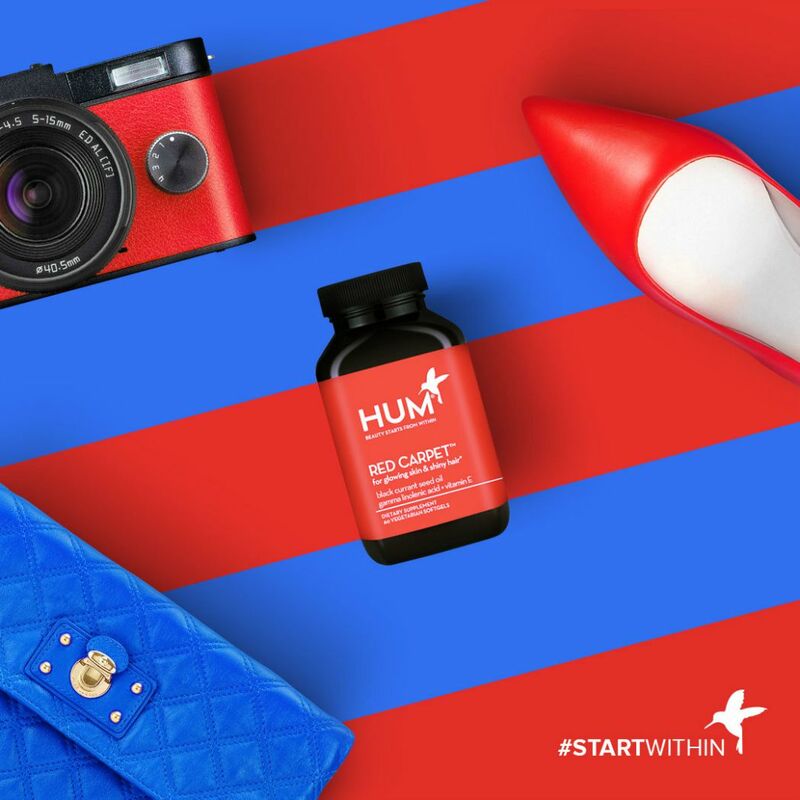 To enter, leave a comment on this post telling us why you want to try HUM Nutrition Flawless + Fearless. Entries must be posted by Friday, October 9th at 10 p.m. PST, and one winner will be chosen at random. * Good luck! The contest is now closed. *This giveaway is open to those in the US only. Please do not leave your email or web address in the body of the comment, only in the allotted boxes. $29.00 USD total value for the winner. Winner will be contacted via email once comments close, and announced at the bottom of this post soon after. Source: Nutraceuticals World/ Transparency Market Research, Albany, NY. I’d love to try this because I would love to improve my skin! I would like to try it because I have heard great things about nutricosmetics. I would rather nurture my skin from the inside out and not just cover up my skin with tons of makeup! I want to win because I’ve always wanted to improve my skin. I would love to try because this looks like an awesome product! I constantly try to keep everything I put into and on to my body as healthy as can be and this looks like a great product to try! One of my friends who has amazing skin has told me she credits it in large part to her supplement regimen, but I wasn’t sure how to figure out which were right for me personally. I love that HUM has a quiz to help and that its available at Sephora. Can’t wait to try it! 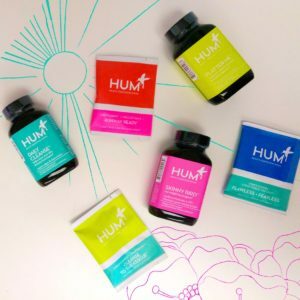 I am super interested in trying HUM because I have been looking for vitamins to take regularly but there is so much misinformation that I haven’t been able to pick “good” ones out. My skin and hair could definitely use a pick-me-up. I like your mission statement and the packaging is adorable. I also like that I would be able to buy more at the Sephora right by my house! These products looks great, really want to limit my exposure to chemicals and the scents looks great! I would love to try this because I’m focused on making my skin as healthy as possible. It is so important to take care of your body inside & out, and this is just the beginning! I want to have flawless skin. I would like to try because I have had acne and skin issues all my life. I think it will heal my skin from the outside in. 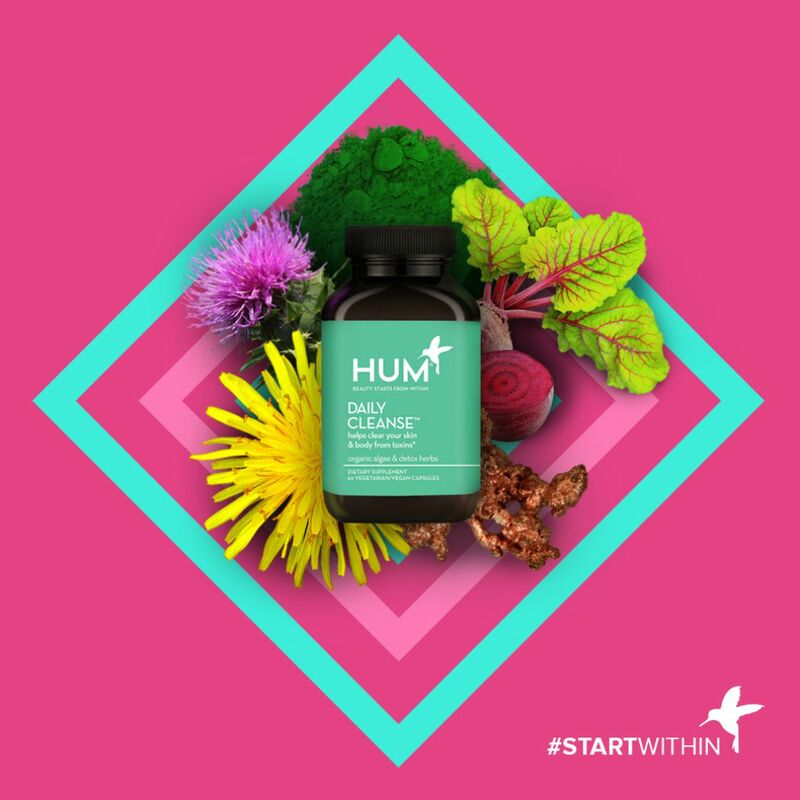 I would like to try HUM because I do not have flawless skin and this products really looks like it works. Thank you so much for the opportunity! I would like to try it because I have heard great things about HUM. Beautiful brand and beautiful post Brandettes! Supplements are a huge part of skin care. I love everything about what these gentlemen are doing, and I will be going Red Carpet next! Thanks Brandettes!! I like that Flawless and fearless includes the Daily cleanse, I need help with my skin and I’m also trying to live a healthier life so I think this would really help. I love the website and how they show all of the ingredients included, it’s really well done. I would love to try it to improve my skin. Thanks! Would love to try something different for my skin! I really want to improve my skin. It’s very dull and unhealthy. I have never tried any products to improve my skin but I have been searching for one to try! The packaging of this product is gorgeous. I’d love to try it myself and see if it works well for me. If so, I’ll buy some for my daughter and her issues. Thanks! so tired of my rashy skin on my face, would love to see if HUM Nutrition helps! I would love to try it to see how it could improve my skin. I am desperately looking for something to help my aging skin! This sounds ideal!